Hey! You're not logged in. Click here for the login page. What? You haven't registered yet? Get your bad self over here. We are a variety band that does country and classic rock wthe a few top 40 songs thrown in. 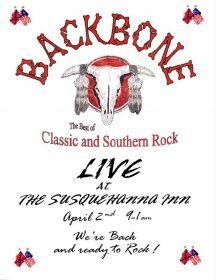 Classic and Southern rock the way it should be played! The featured acts are now rotated automatically once a week.